Which is your favorite Icelandic animal photo? 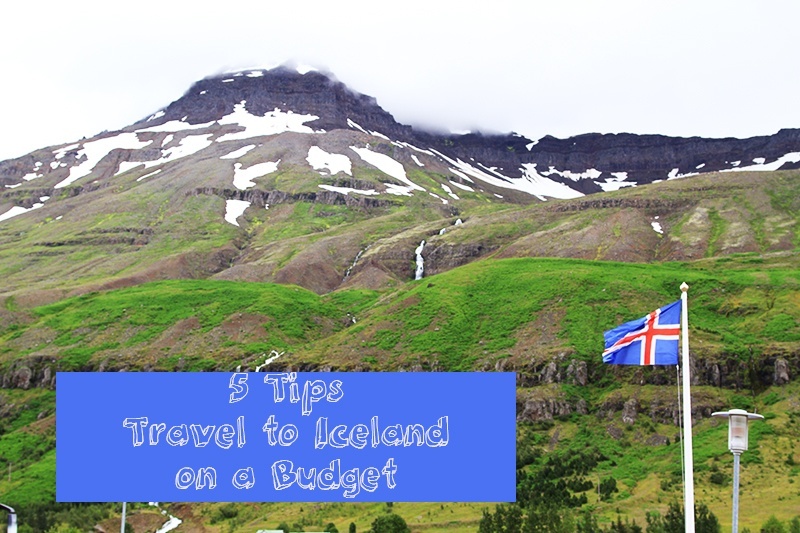 As one would expect of such an isolated island situated in the North Atlantic, there is not much wildlife on Iceland. The majority of the wildlife comes from the sea, and the bird life is prolific as well. Iceland does host a thriving farming community, and the domesticated animals are just as hardy and friendly as the Icelandic people. Trying to capture the majesty of the scenery and the beauty of the animals that I came across was nothing less than inspiring. To think that these species have carved an existence, a home from such an unforgiving environment made me think how lucky I am to experience them. To see these birds and animals, and more, you have to make an effort. 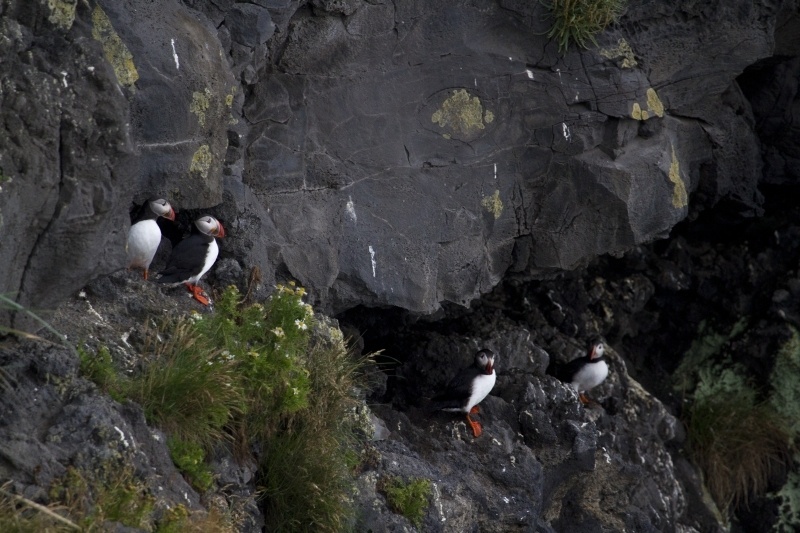 We were thrilled to see the puffins coming in from the sea in the late evening to their rocky nests. Watching their tiny wings flapping in what seems to be similar to that of a wound up rubber band, is comical and magical at the same time. 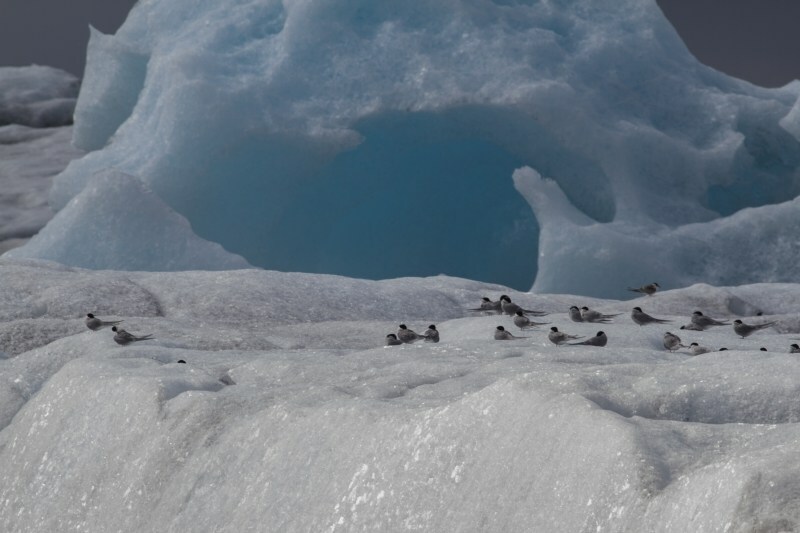 These birds were resting on an iceberg in Jökulsárlón Lagoon. The entire group was only on one iceberg, not the others. I wondered why. 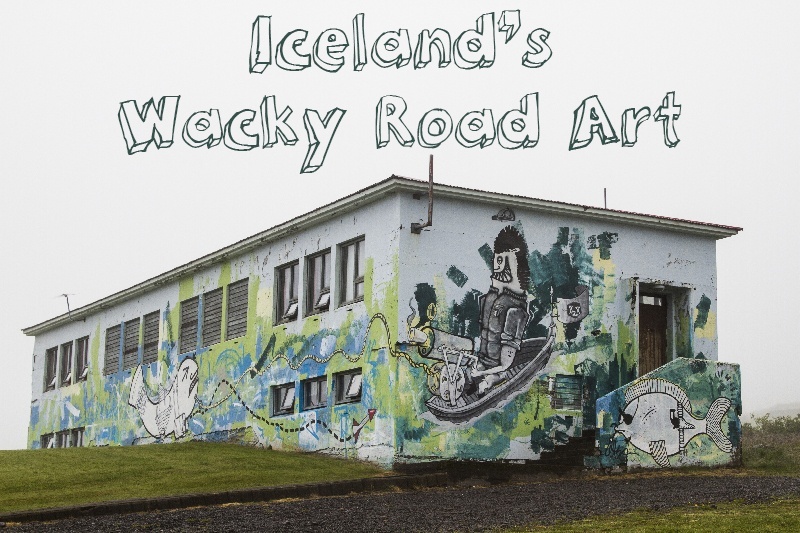 We saw these “lookouts” all over the eastern part of Iceland. The birds would stand up there and keep an eye out for intruders or predators. 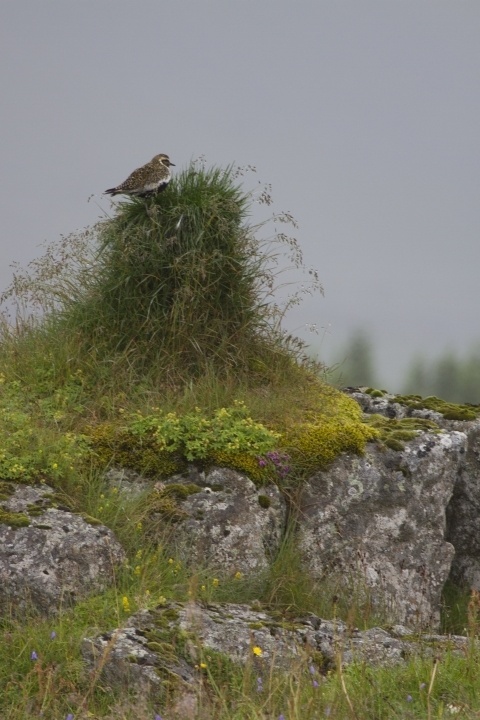 They weren’t nests, just high points, and because the rocks were used all season, and probably many seasons, they were covered in greenery. The birds were primarily ground birds, but we did see them fly as well. There were many swans around the island, and wee watched this family for a good 45 minutes, eating their breakfast and floating down the river. I had read that there were caribou brought by Scandinavians in the 19th century, but being the middle of summer, didn’t think we would see them. They were far away and stayed that way. Look at those antlers! 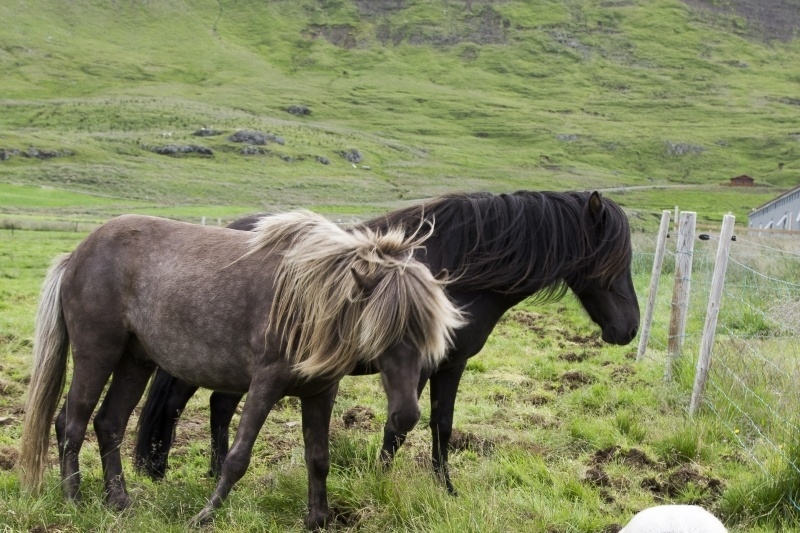 There’s no way to begin researching your trip to Iceland without coming across photo after photo of the beautiful ponies with their unkempt manes hanging over their brows. What I noticed driving around is that everyone in the countryside owns horses, and all the horses are curious. Most groups would meet me as I climbed out of the car to photograph them. They were ready to be patted, talked to, and seemed all too eager to model for me. Look at these bangs! These guys would fit right into a 70s rock concert! 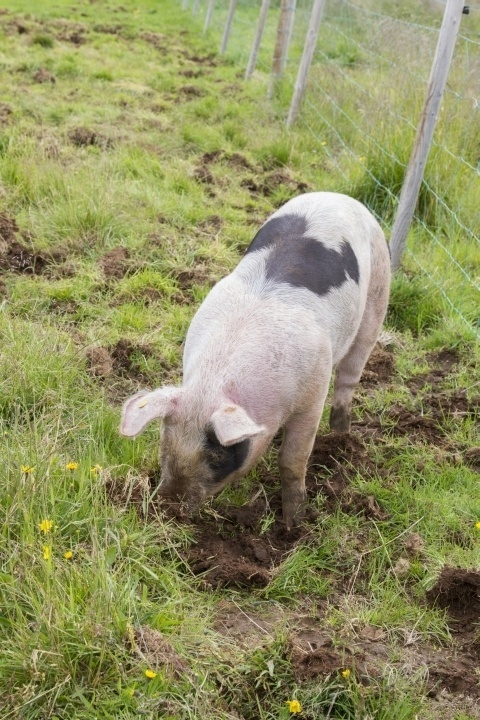 Pigs are not an animal you come across often, and I was more than surprised to see them in a number of paddocks rooting for tubers and getting nice and fattened up. I never saw more than two, and since it was summer I’m sure they were not going to last the winter. Then, of course, are the sheep! Sheep are everywhere on the island. I expected to see them in the green grass. I expected to see them on the rolling hills, but there were plenty of areas that I was unprepared to see them. 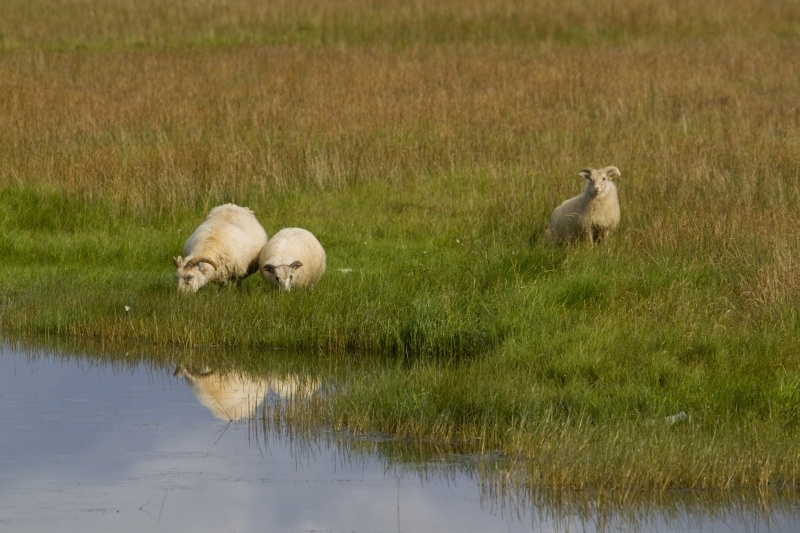 Places covered in lava, with little vegetation, with sand, on beaches, everywhere I went there were sheep. Everywhere! Now the sheep were not quite as friendly as the horses. We would pull over and they would eye us suspiciously, but unless we moved too close they were not going to be bothered to get up and move. Many had burrowed a cozy little beds, soft with long grass. Why would they give that up? Surprisingly, many of the sheep were so curious, they came right up to us. Once time, I called them in a sing song “sheep, sheep, sheep” call and I was shocked to see them running for me. 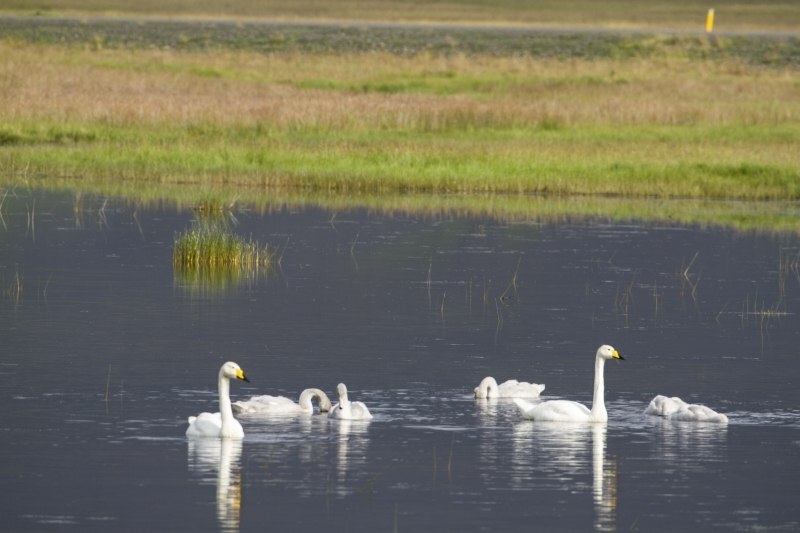 Driving around Iceland, we were thrilled that along with the majesty of the landscapes, we were able to see these gorgeous animals. 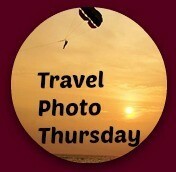 This post is linked to Travel Photo Thursdays. Totally love the horses so cute… It seems like Iceland is the country that has it all: incredible landscape, the northern lights, animals, iceberg… you name it. Jameela, It does…but it does also come with a price! Puffins! I would love to see Puffins! This collection of animals in Iceland is wonderful. It was already on my bucket list, but I think you just nudged it up a few spots. Rhonda, It was spectacular…just keep that in mind! Nancie, Thanks! I love caribou as well. I only wish I could’ve gotten in closer, but I wasn’t about to climb that fence! Mike, You’ve got to love those manes, right? !